An address of welcome and congratulation, presented to Sir Ronald Ross by the Corporation of Calcutta to commemorate his visit to the city in February 1927. 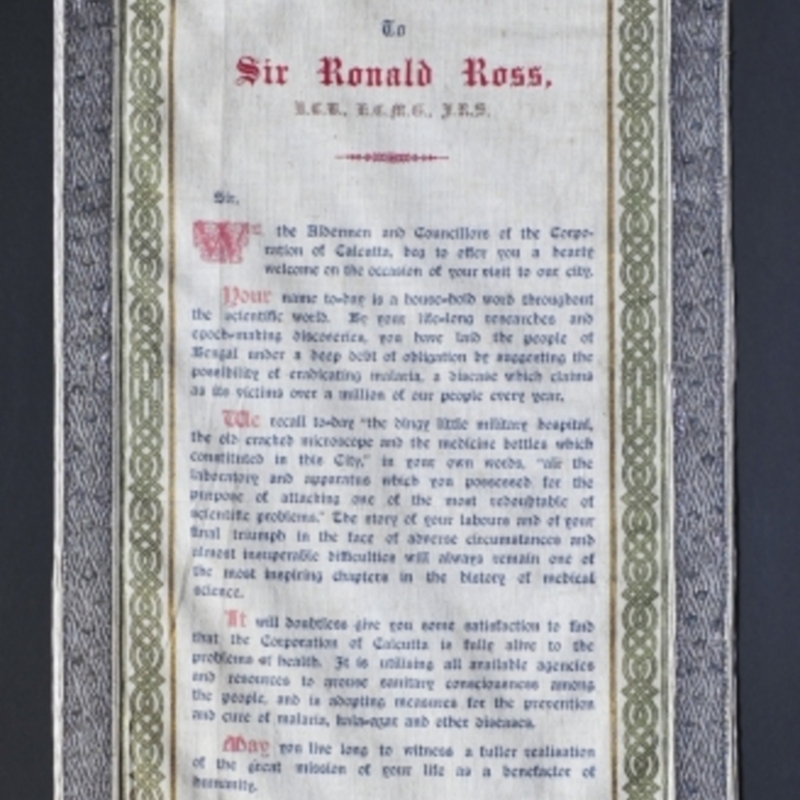 Corporation of Calcutta (India), “Banner Address to Sir Ronald Ross,” Heritage, accessed April 23, 2019, https://heritage.rcpsg.ac.uk/items/show/237. Description: An address of welcome and congratulation, presented to Sir Ronald Ross by the Corporation of Calcutta to commemorate his visit to the city in February 1927.